We Service Most Clients Within An Hour of Their Call! Same Day Garage Door Service! Low Rates & Best Warranties In The Area! When you have a garage door in need of repair, contact us today. 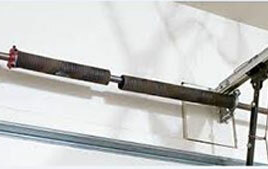 We fix any problems from broken springs to damaged rollers. Choose a new garage door from a variety of options and have it installed by our professional installers. Click the button below for details. Don’t wait to fix your broken garage door. Call us for repairs or part replacement for broken items such as springs, cables, panels, and rollers. Garage door systems are complex mechanisms that require an expert’s touch. R & S Garage Door Service can provide professional support for your commercial or residential garage in Naperville, IL; Aurora, IL; Downers Grove, IL; Wheaton, IL; and surrounding areas. 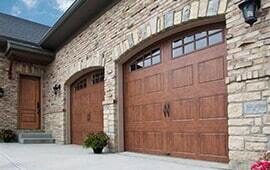 Garage doors: We provide installation, repair, and rebuilds for your commercial or residential garage door. We supply quality garage door styles, colors, and materials that will fit your budget. All garage doors come with a lifetime warranty. We also offer same-day repair and emergency services. Garage door openers: Is your garage door opener broken? 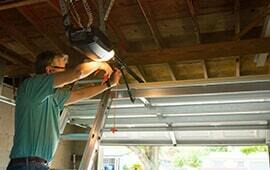 We can install, repair, and service all garage door openers. Springs: Springs are often manufactured with the same cycle rating, so when one spring breaks, we almost always have to replace the other. When we replace the spring, we always do a balance test to ensure that we install the right springs. All new springs are high cycle and come with a 3-year warranty. Overhead door repair: R & S Garage Door Service offers repair on many overhead doors, including commercial garage doors, security doors, and roll-up doors. Each repair comes with a parts and labor 2-year warranty. Dock levelers: We provide dock leveler installation and repair. Have questions? Please visit our individual service pages or call us at 630-357-5261. R & S Garage Door Service provides the quality service you deserve. With 20+ years of experience, we are willing to come to you, at whatever distance. We always provide high-quality work and can often visit you within an hour of your call. For several years, Angie’s List has recognized our company for quality work and prompt service. When you want the best, call R & S Garage Door Service at 630-357-5261. We are proud to serve Naperville, IL; Aurora, IL; Downers Grove, IL; Wheaton, IL; and surrounding areas.